What makes a good Geotechnical Engineer / Engineering Geologist? As we start another year and consider recruitment options I starting wondering whether we could put in a nutshell what the qualities are that we look for, particularly in new graduates, which is where we find most of our staff. I started by looking online to see what advice was being given to prospective school-age students considering a career in geotechnics and immediately found this excellent site: https://www.prospects.ac.uk/job-profiles/engineering-geologist, which I would recommend to anyone interested in a career in this field – it is very thorough and sensible. I am a little dubious about the distinction between engineering geology and geotechnical engineering as separate disciplines, so whilst the website referred to above deals with engineering geology the advice in my view equally applies to geotechnical engineering. Personally I have a first degree in Engineering Geology and a masters in Geotechnical Engineering, and never felt that I was moving from one discipline to another. However, I do grant that historically some have taken the view that an engineering geologist will have a first degree in geology or similar, whilst a geotechnical engineering has a first degree in civil engineering. 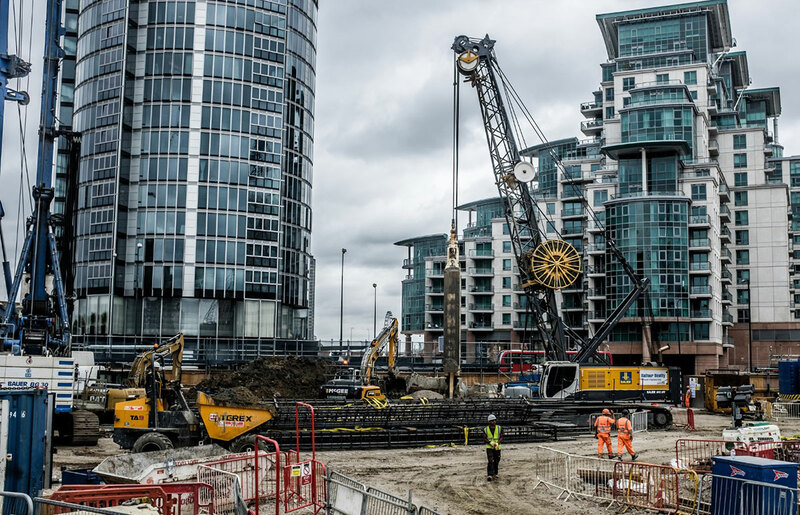 Regardless of what we call ourselves, geotechnical engineering is a brand of engineering that is very different to many others. The main reason for this is the geology. And the main reason why geology makes it more complicated is because it’s underground, and getting it out of the ground changes it considerably. So we can’t see what we are working with very easily, can’t sample it without affecting its properties and can’t test it in a lab without making quite a lot of assumptions. So, geotechnical engineers need to be numerate and be able to understand buildings and the forces that buildings apply to the ground. But they also need to be able to understand geology and how geological processes in space and time will have affected how the ground will respond to the applied forces - this requires an ability to think beyond the obvious and to be able to contextualise data in three (and sometimes four) dimensions. They also need to be able to convey often very complex interactions between soil, rock, groundwater and structures in a clear and concise way, both in writing and verbally. It is this combination of numeracy and the descriptive that makes a geotechnical engineering such an interesting and varied career. A good geotechnical engineer will also need to be adaptable, be able to think on their feet, fond of the outdoors, comfortable with getting muddy, able to work an Iphone with gloves on and make clear notes in the rain.